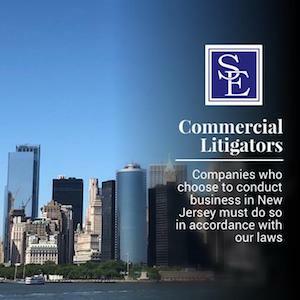 The law office of Smith Eibeler, LLC is committed to providing skilled, thorough and tenacious representation to small and medium-sized business clients in matters concerning business, corporate or commercial litigation. Since 1996, our firm has been resolving everything from contractual disputes to complex business litigation for clients in a wide range of industries. Our clients include real estate developers, publicly, traded companies, mid-sized companies, public entities individual business owners, owners of closely held businesses, contractors and others. Our lawyers are detail-driven, conscientious and responsive to our clients' needs, keeping their best interests in mind throughout any commercial litigation or dispute. Our goal is to work strategically to find the most efficient, effective and affordable resolution to our clients' concerns. Many clients also rely on us to provide general counsel, so we know their businesses inside and out. We help our clients define their goals by providing them with realistic expectations about potential outcomes. We believe in educating our clients about the legal process, giving them the knowledge necessary to make truly informed decisions. Essentially, we lift the legal burden off of our clients' shoulders so that they can focus their energy on running their business. High Quality Litigation Services - Call Today.